"The Lord Chancellor, Lord Falconer, is set to strongly reject the idea of an English parliament, in a speech to a conference on devolution. He is expected to argue that there is no case - "not today, not tomorrow" - for creating an institution which could eventually lead to a federal UK." There are not adequate arrangements between the UK government and the nations of the UK. The Boys at CEP are smoking from the Ears over this one. The English are sick of spending so much of their money on their Scottish and Welsh fellow, whilst per head spending on healthcare and education is so much lower in England than in Scotland. (Not that it has done the Scottish any good mind). Interesting that it was a Scot on Today this morning taking questions from a Welshman about whether England should be on same basis as Scotland or even Wales. Isn't there an English minister in Falconer's department who could argue the case? I thought the truth came out when Falconer voiced fears that as England had 80% of the population it would dominate..as against a Labour Party dominated by Scots with Scots MPs in office running departments who's remit is only England? The problem for Labour is that if English Votes on English affairs is accepted much of their front bench won't be acceptable. I'm a unionist so not keen on establishing strong country parliaments and driving apart the UK but the current compromise isn't going to last. He is expected to argue that there is no case - "not today, not tomorrow" - for creating an institution which could eventually lead to a federal UK." -- Er, Charlie, did you tell your old flatmate this circa 1999? Need a competition for a better motto! Me too, but isn't a parliament per country just part of localism, i.e. more decentralisation? It's quite simple. Make the HoCc = The English Parliment, and let all mp's discuss national issues in their own forum, then vote simultaneously. This would instantly reduce costs, allow MP's to spend more time closer to their constituencies and create a equal basis for more transparent devolution down to a local level. Imagine if our english MP's spent as much time in Scotland at the txpayers expenses? People would be accusing them of ignoring their constituencies. Keep MP's close to their elected communities. It seems to make sense to me. The problem with EVoEL (or even eLOVE) even if it were achieved is that the laws being voted on would still be Labour proposals. A majority of English voters supported the Conservative manifesto at the last election. Only an English Parliament could properly deliver those manifesto promises. Perhaps we could re-enact the Boston Tea Party and throw a few crates of whisky into the Thames at Westminster. I'm sure Charlie Kennedy has some he'd love to get rid of. Tories were convicted of gerrymandering at a local level but Labour is getting away with it at national levels! Every bit of sleaze that we were accused of, Labour can do better. If you read this please reocnsider your decision to leave the party - at least until the policy reviews, otherwise you look like you are creating the Progressive Peoples Front having left the Peoples Progressive Front because you don't like the biscuits. It is natural justice for England-only laws to be passed on the basis of English MPs votes and the public would support us on that. The fear that they would still be Labour laws can be set to one side. Any Labour administration would only be able to put forward laws it could get a majority of ENglish MPs to support. It could be an effective brake on the introduction of socialism a la Gord's State Pocket Money madness and would ensure the tory party kept its policies at the forefront of public debate. As I've pointed out before, I was glad to be at the "Build to Last" launch, where David Cameron reaffirmed his promise of english only votes in parliament, however rejecting an English parliament. The Scottish parliament has been a huge waste of expenditure, and the creation of a similar cash guzzling beast for England, would result in huge cash flow problems, and most of Westminster becoming redundant. In all honesty, Britain isn't big enough to become a federal state, unless we carved up the UK a bit more (North Scotland, South Scotland, East Anglia...) into the different assemblies, otherwise the cost of the federal government could never be justified. I'm more dissapointed at the parties reluctance to back proportional representation. Its absolutely ridiculous as johnC points out that a majority of English people voted for the Conservatives, yet there are more Labour MPs , without even taking into account Welsh and scottish Labour MPs. I've a feeling that we may change our stance after the next election if we get 40+% of the vote and we don't get an pverall majority, or even worse Labour still has one! simple first step is just an English Grand Committee with the HoC - to undertake the HoC responsibilities as regards legislation. Same MPs in same building for same pay - but Scots/Welsh/NI MPs can work in their offices doing constituency business. Leader of the House & Business managers need to package legislation such that certain days are English only business. OK there will be issues if England has a Tory majority and UK has a Labour one - if that happens then leaders sit down and work out a compomise. Key there is relationship of Treasury to English offices of state - for the countries to agree with Chancellor the funding model. Perhaps then an English devolved goverment would evolve - agreement that English Offices of State & ministries would have Tory ministers responsible to English Grand Committee and English electorate - in that case suggest the Tory leader could be SoS for Home Office and chair the English cabinet. I did explain in another thread that this was made impossible for me as we are being forced to vote on "Built To Last" before the policy groups report back, meaning that the party is forcing our hand for approval before detailing what it actually means in a real sense. This will mean that disagreement will fall on even deafer ears as the simple line of "but you voted for it" can always be thrown back. The EPP pledge was a key reason for voting for Cameron, and suddenly we find ourselves without any delivery or detail of delivery on that and even hints of a u-turn, whilst being made to vote for an agenda that will not be detailed until after the vote. Without my hand being forced in this way, I agree the best way forward to oppose positive discrimintation would have been within the party, but I feel even being part of the vote would weaken any argument later. If we see delivery on the EPP pledge, and the party drops its plan to use positive discrimination to force candidates on local communities, you bet I'll be back fighting for an agenda that actually delivers what it is clearly promising. Ken Livingstone showed how you should stand up to an unwanted candidate imposition from central office, and I hope there are plenty of "Blue Kens" with the balls to stand up and be prepared to stand against the party if it deliberately ignores local communities and imposes an unwanted candidate formed from an artificial diversity plan. When Cameron says that we should trust local communities and decentralise, I totally agree, but that does mean really doing it, and trusting local communities (not associations) to select the right person to represent them not seek further centralised labour-like control. I just hope these Blue Kens stand up now and state that they are prepared to stand if a candidate is forced on their community by cco. Maybe this in itself will be enough to avert any unnecessary friction or vote splitting. "Me too, but isn't a parliament per country just part of localism, i.e. more decentralisation?" The downside of decentralisation is extra layers of government funded by the taxpayer. I still wonder why we bother with county councils. Now that Scotland has its own parliament one could argue that the number of UK Parliamentary Scottish seats ought to be dramatically reduced. Out of interest, what percentage of seats in the HoC are Scottish and Welsh? So are you saying the solution to devolution is evolution, not revolution? That's sounds good to me Ted, as long as it is proposed as a long-term aim, with EVoEL not being promoted as the full solution. Make the HoC the English Parliament, Scotland, Wales and Northern Ireland can have one non-voting representative a piece. The provinces should be given full powers and just remain nominally within the UK. EVoEL will never be acceptable to Labour, because it would mean they would need a whopping majority at Westminster to even think about getting most legislation covering 90% of the UK population passed. It is, in essence, the reverse, not the corollary of Scots and Welsh devolution (essentially entered into so that Labour can always guarantee being in power there). "EVoEL will never be acceptable to Labour"
Exactly, a perfect wedge issue. Lavour could not rule without this prejudice. It is unfair against the vast majority of the population who just happen to be your core support base. It really should be a no-brainer what you do next. Champion equality of parliament, highlight how Labour is using a UK minority to control the majority, and demand, not preference, not favours, not anything better than anyone else, just equality. It is this deliberate prejudice against the English that poses the greatest threat to the union, not any plan to restore equality. Has the Government missed the irony of saying that creating an English parliament "could eventually lead to a federal UK", having created a Scottish and Welsh parliament? The danger with PR is that we could end up with a nuLab/LD dictatorship. A better course of action would be to ensure that we are more active in the next boundary review than last time. Definately agree with you, there needs to be a full reform of the boundary committe, with changes taking place more often, and be more accountable. PR is a highly undemocratic system where parties meet in smoke filled rooms weeks after an election and carve up policies, creating a government with a platform that nobody voted for, and is extremely difficult to remove, and one which may very well be terminally gridlocked anyway. FPTP needs to be improved, largely on a geographical basis, we cannot have a PR system. Of course they don't want an English Parliament, they are hell bent on dividing England into Regions to fit in with the EU dream. We could of course introduce PR for candidate selection (if it was ever offered with open primaries etc), but show that at a general election, FPTP is essential to maintain the direct link between that MP and the constituency. The more we focus on the person, rather than the party, the more unworkable and confusing PR becomes. By offering PR for candidate selection, we could reinforce the communities' selection whilst also showing that we are prepared to use appropriate voting methods in the right situation. Of course whilst parties continue to ignore the introduction of open and democratic candidate selection, there will always be a call for PR as people desperately try to overcome this undemocratic and narrow choice of candidates and seek to introduce candidates that are really wanted by local communities. Why did we drop our principled opposition to devolution in the first place? I think most party members (if consulted) would be against devolution, as it represents a threat to the union. Critics would argue that now the devolved assemblies are established they are forever, but that shouldn't be the case. In the referendums that brought about these institutions, less than half the electorate in both countries voted for them. They both also had turnout below 50% in the last election, so there is obviously not widespread enthusiasm for them. Why not have a manifesto pledge that if the turnout for pro-devolution parties in Scottish and Welsh elections (for the assemblies) was less than 50%, they would be abolished? That would almostly certainly happen, and the assemblies could then be abolished without people complaining that there was no democratic basis for the closure. Also, if it provoked a nationalist reaction (even for a short time) it would work to our advantage, as it could mean Labour loosing many traditional Welsh and Scottish seats, and thus make it harder for them to win an election. I remember in my active student days discussions on devolution. The LD & later the Labour view was that you created devolved parliaments on Scotland, Wales & NI with various powers and then you created English Regional Assemblies with less powers. This meant that the dominance of England was removed as the regions would be equivalent sizes to Scotland & Wales. The UK parliament then was the central body, able to legislate differentially according to what powers had been devolved. The voters of the North East however wrecked this plan. Neither Labour or Libs had a Plan B except that of the unequal treatment of England. There had been little English nationalism so they thought they would get away with this. However the dominance of Scots in the Cabinet, the imposition of laws on England on the basis of the Scots Labour vote has shown this is a matter that will get worse. If as is likely there is a close election next time and Labour achieve either a small majority or are largest party then it will have majority only through Scots & Welsh MPs - England will have returned a Tory majority. The demands for equitable treatment will get louder - as they did in Scotland when that country was faced with a UK Tory Govt while it had elected a Labour majority. It's time polticians faced the fact that 1.) There is a de facto federal union. 2.) England doesn't want regionalisation but does want fairness. Creating an English representative body in the current HoC is simple enough - though consequences will be important. The position and make up of the House of Lords will be more difficult unless this is a mostly elected body. As regards PR if we are driven to accept it the the Australian model with different methods for representatative & upper house slooks a good model - it drives towards a two party (or two coalition) model in lower house. I am all for English votes for English laws. The Speaker could decide which laws were English based and this would automatically exclude Scottish and Welsh MPs from voting in divisions. Scottish and Welsh MPs can still exist to debate and vote on matters at Westminster that still cover UK-wide policy, like defence and foreign policy, for instance. Labour wouldn't like this, though, because they know it would be immensely difficult for them to secure an overall English majority. Therefore, the government could be defeated fairly easily on English-only matters. But seeing as they're the UK government, they'd still have the support of the majority of the house for UK-wide issues, so they could remain in government despite English defeats. Coming soon - you too can have your own think-tank! All you need is a blog with a snazzy template, and a huge ego. Don't worry, there's no commitment, and if you don't get your way, you can always have a hissy fit and resign! "Don't worry, there's no commitment, and if you don't get your way, you can always have a hissy fit and resign!" That would not be a very *ahem* noble thing to do now would it? Let's get back on subject guys! The idea of an English parliament is being taken up by radio and TV. I know Cameron's against it, but maybe he should think again. Getting back to the point the English Parliament discussion is NuLab diversion from EVoEM ( English Votes for English Matters - better than EVoEL). Blair & Charlie know they can't defend against EVoEM so they try to change the arguement to a separate Parliament - knowing most people don't want another expensive legislature and there isn't same pressure from English electorate for this. Clear line - we are not talking about a separate parliament we are asking for the simple fairness of MPs to vote only on legislation that is applicable to their constutuencies. Act now! This is totally undemocratic, unethical for English people, they are not being represented fairly. Its a total, a total abuse of the system to allow Scottish of Welsh MPs vote on English only issues. This a huge election winner imo, I feel cheated, so will many other. It is totally unacceptable for a non-English Speaker of the HoC to decide whether a vote should be English-only. If we had that setup and Labour were in a minority within England they would just have their Scottish Labour Speaker refuse to consider any bill as English only. And what about proposing English-only legislation? If the Scots and Welsh can do it, why not the English? Where's the fairness? Where's the equal political rights for English people? Do we have to have Civil Rights marches in England just like happened in the 1960s in Northern Ireland? The only way that EVoEL can even start to work is if there is a separate English executive within the House of Commons - in effect an English Parliament. So why not just support an English Parliament with equivalent powers to the Scottish Parliament? Yes it's a federal solution. But guess what, that's what we have right now! A federal solution in which the English are second class citizens. If you're really worried about the Union you should be campaigning against this blatant unfairness, because nothing short of equality for the English will be acceptable in the long run. And if it isn't addressed soon then the Union's finished whether people like it or not. • Continuing down the path of evolving English regional government with the aim of investing in them powers currently held by UK government which in Scotland or Wales are devolved. The Lib Dems from Ming's responses seem to continue to prefer regionalisation basing it on Prescott's quango regions. Our policy (a policy!) seems to be the first - I just think that if we take that line then an English Parliament within Westminster will evolve as if our shadow spokesmen was the one who had the parliamentary majority any legislation would need his approval. Ann Widdecombe has just received a very big round of applause for arguing for EVoEL on Any Questions?. "(Perhaps I should rename my blog to "the centre for liberal northern Conservatism"?)" Have I upset you Iain? Good, I always seem, to annoy dead wood. "Ann Widdecombe has just received a very big round of applause for arguing for EVoEL on Any Questions?." Just listened. Ann and Nigel Farage did very well on this issue. Robin Tilbrook of the English Democrats was also on Radio 4 this evening, so the profile of this issue is rising well. I can't believe the best that Labour can do is to dismiss the plan because it would create second class MP's when as Ann says, we already do. Of course, contrary to the response on Any Questions from another panelist, an English Parliament could be a reduction in layers, not the creation of a new one. I fully support English votes for English issues. It's a pity the English are not more willing to make an issue of it. Equally the Conservative Party when it eventually gets back into power might not win a single seat in Scotland and Wales and maybe might win 350 seats or even more in England, that's just the way a Constituency Based System goes. I think that English and Welsh Law should be seperated, Cornwall should be granted a parliament with the full powers that the Scottish Parliament currently has; then either there could be some kind of Council of England comprising local council representatives to decide English Law and things such as Tax Varying Powers and other things that the Scottish Parliament decides. Old English Regions such as Mercia, Anglia, Wessex could be restored, Yorkshire could have substantial powers to a Grand body for it and Northumberland. I don't see the need to have more than one set of representatives at local level, surely a single set of councillors and far fewer of them sitting at multiple levels on various different bodies would be a better solution. Wales and Scotland need devolution from the Scottish Parliament to a more local level in a similar way. Historic Scottish Counties such as Lanarkshire should be restored, and in teh case of England the old Ridings should be restored and counties such as Cumberland and Westmorland and Lancashire on it's historic boundaries. In addition there are far too many MP's and Peers, I think things could function perfectly well with a third the number of MP's and a third the numbers of Peers. The Status of Ulster has to be considered, power sharing agreements should be abandoned and perhaps incorporating Antrim into Scotland should be considered, Ulster shoudl regain the parliament at Stormont and have free elections again. Upset me? No. I just find your constant attention-seeking ego-trip rather tedious. I couldn't care less if you've resigned from the Party, and I suspect neither could most of the other Conservative activists working hard to deliver Conservative councils and a Conservative government at the next General Election. As for "dead wood", well in 2004 I was elected to represent an area whose previous record of Conservative representation came to an abrupt end twenty-five years previously. You've been a party member for a couple of months, annoyed a few associations and resigned in a hissy fit. I'll leave it for others to decide who is dead wood. Upset me? No. I just find your constant attention-seeking ego-trip rather tedious. Aye, quite right, Iain lad. You tell him he should be showing more respect to a Councillor. Ego! You're projecting again! :-) Come on Iain, I bet you have "cllr" on your credit card and all your mail. You don't post a word without ensuring we all know you have scaled the giddy heights and made it to be a,um, councillor. For reference, I have not the slighest belief that I am any better or worse than anyone else. Those who have met me will testify that I actually tend to be over critical of myself, rather than the opposite, but I find that healthy as it is questioning. So far from exaggerated self-belief, I would say I am the opposite. I know that doesn't fit your rant though, sorry. Far from resigning in a hissy fit, I am the last of the four of us who formed progcon, one being an ex tory association chairman, another being a current LibDem councillor. Unfortunately whilst I was still banging the drum for Cameron and asking them to have faith, the others were harbouring doubts about Cameron's sincerity and direction despite initially being very, very pro-Cameron. It was Tim, the LibDem councillor who suggested the site rename to the "centre for progressive conservatism", not me. However, the birth of several other "lib/con fusion" type sites that credit progcon as inspiration shows that we have helped to attract libdems to the Tories, well until recently anyway. 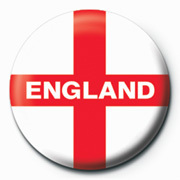 This thread has been a serious discussion of serious prejudice against the English, some 80% of the population. You represent a ward in England, but instead of acting maturely, seeking to contribute to the discussion, to show the people of Salford that you are doing the job for me that the overuse of the title, you have not offered a single thought, or opinion on the subject, instead, choosing to abuse me instead. People only need to read back this thread to see that I, just a member of the public, have simply been contributing on topic to a theme that I believe passionately in, whereas the Tory councillor has decided to ignore the subject entirely and launch a person attack. I'm sure the people of Salford will be proud when they read back your contribution. You can keep insulting me, I'll keep respoding but keep it polite. You won't hound me off the site, my shoulders are broad enough to cope with the off-topic childish insults of a man who likes to call himself "cllr." "You've been a party member for a couple of months, annoyed a few associations"
And just for clarity cllr, you are completely right about this. I seem to have upset associations by simply daring to factually criticise them. In fact, my disgusting behaviour was to simply note in one thread that I had emailed Norwich South but they had failed to respond to my mails. Shocking! How did they respond, cllr? Well, Trevor Ivory the chairman threatened to "take action" against ConservativeHome unless they removed the comments, well, that was until I was able to provide the proof to support my complaint. So how did they then respond, cllr? Well Iain Dale waded in for them and accused me of sending the mails to the "wrong" address, well, that was until I was able to show that I used the primary and official address that was listed on the site at the time, thanks to a good old internet cache of the site. So then how did they respond? Well, faced with the facts, Mr Dale said that the association was probably having a "rest", ie, they had ignored my mail all along as I had noted. So it seems, I have been a real rogue in seeking to criticise apathetic associations that ignore correspondence from those seeking to help, when that has been factually correct. It's funny, how in a very similar way to yourself, you are not addressinf the issues I raise, simply seeking to attack the man. That says more than enough. Facts seem to mean little, and elected officials are more than happy to threaten to "take action" or throw insuls rather than address the issues. I should be spanked for daring to point out the truth. I apologise. Iain is quite able to defend himself, although he shouldn't have to - this is a thread on English Votes for English Laws. I'm really unaware of who you are Chad and am frankly disinterested. I would make one point however, Iain become one of the youngest councillors in the country and the youngest councillor of all time in Salford when he was elected some time ago. He is rightly proud of his record and I only wish more Councillors took the same pride in their roles as Iain does. "this is a thread on English Votes for English Laws." Come on Frank! Tt was until Iain went off topic and decided to insult me rather than pass any comment on the English Parliament issue. It was Iain not me who the Editor asked to get back on topic. We still know nothing of his views on the issue as he has simply decided to disrupt the thread than contribute to the theme. Read back the thread again. Just how has this great cllr advanced the debate so the people of his ward can see where he stands on the issue? Indeed Chad you two seem to have become involved in a form of e-fisty-cuffs! "Coming soon - you too can have your own think-tank! (Perhaps I should rename my blog to "the centre for liberal northern Conservatism"?)" Hmm, for or against. It's definitely the balanced, mature response you expect from a cllr, no wonder you are wading in too. It's difficult to see from such a mature entrance to the theme. The people of Salford are lucky indeed. I asked people to stay on topic. I will ban the next person who trades personal insults. I certainly didn't mean to cause any offence to anyone, however apologies. Well at the risk of seeming ignorant, what are the drawbakes of simply allowing the Speaker to decide which votes Welsh/Scottish MPs are not allowed to vote on and leaving such legislating to English MPs? Thanks Tim, I appreciate that, as this is a very important topic. Restoring parliamentary balance and removing the prejudice that Labour have created is essential. Almost all the small centre-right parties are actively supporting an English Parliament and it would be great to see more Tory councillors and MP's doing the same. "the Speaker to decide which votes Welsh/Scottish MPs are not allowed to vote on and leaving such legislating to English MPs?" It would certainly be a start Frank, as Ted notes, the first step in the right direction. I made a light-hearted remark in response to someone else's comment, and I get called "dead wood". I'm also under no illusions that I'm anything other than a tiny acorn in the greater political scheme of things. For the record, I wouldn't dare put "Cllr" on my credit card! Anyway, enough of that. I support the principle of EVoEL but I must confess to being slightly concerned about the constitutional aspects. I am more concerned (and I speak as someone who spent his early years in Scotland and remain extremely fond of it) at the small but significant minority who appear to wish to cast Scotland and (to a lesser extent) Wales adrift politically. My third concern is that parroting "the Conservatives got more votes in England" is an open goal for advocates of proportional representation. I'm also concerned that this isn't seen as about English Nationalism but about fairness. Devolution isn't all about devolution anymore - the powers have been devolved and unless something cataclysmic happens they will never be reclaimed by Westminster. Some Welsh parties (LDs & PC) want furher devolution, some Scots parties (again the LDs and the SNP) want fiscal devolution. Now we are de facto a form of federal state the issues need resolution but in a way that supports union rather than divides it. So no to fiscal autonomy, no to further powers being devolved to Scotland. Let the Welsh decide if they want equivalent devolution to that in Scotland (by referendum with a turnout clause). At the very least EVoEM (in fact wider than that English, Welsh & NI votes on EWN matters and all the permutations that unequal devolution brings) needs to be introduced but we also need to recognise its not the end of the matter, once you have unbalanced the constitution then it takes time to find the balance again. I think its likely that an English Parliament in some form will appear. I'd prefer it to be in form of an English Grand Committee rather than a separate body. With EVoEM & a virtual English Parliament we need to think about how we use the Lords to stregthen Scots, Welsh & Northern Irish interests against the over-mighty English through over-representation in the Upper House as has proved successful in other Federal States. We could extend this to having a Gibraltarian, Falkland Island, Atlantic Dependent territories etc representative in the re-constututed Lords. The alternative LD and NuLab regionalisation of England will fail as long as its seen as an attempt by the" Celtic fringe" (a very Anglo-centric term) to weaken & break up England. English regions would not have devolved to them the same powers as Scotland - and attempts as we saw from some NE pro-regionalists to set up an enmity with Southern England show the dangers. However English regional representation in the Upper House might be a way of establishing regional voices. But let's be bold, support the union and let's root it firmly in our common history. This could become a very significant political issue as, if looks likely, the Education Bill gets through, not on Tory votes, but Scottish/Welsh ones. A similar thing happened with increased university fees. When will Labour stop being allowed to pass english legislation on welsh/scottish votes? I don't thing the English want a regional parliament you know. Pretty sure they will force the West Lothian question to conclusion though. It is simply undemocratic to continue as we are. Labour are resisting it of course, their "Socialist Bloc Vote" from North of the border is very nice for them of course. Falconer has a great ability to irritate me these days. He is the type of politician that I have the least respect for, all manouvering and talk, but little other than Tonys wrecking ball in the upper chamber. Whats the Country coming to. Depressed. Welcome back Oberon!It's been a long time. It is being reported that the SNP are going to vote against the Education Bill, which does not affect Scotland, in spite of a previous commitment to abstain from votes that didn't affect Scotland - another indicator of the need for cleaning up the constitutional mess caused by devolution. I don't see that we need the expense of a separate English parliament but I don't understand why English MP's shouldn't be the only ones to vote on decisions that only affect England. On the subject of top up fees for example; if a Scottish University Graduate immediately takes his/her degree to obtain employment in England do their University fees then become repayable after their earnings rise above £15,000 pa as my child's will? If not why does a Scottish child have this advantage when we all live in the UK (doesn't sound very united to me). Or do the Scottish workers pay more taxes to provide this benefit free for their children? I am English, OK everybody is British, but I am English and put English on any forms that I fill in. In the media (television) it seems that every other presenter is Scottish, and sometimes very broad Scots at that, OK, so what but it often takes just that much longer to understand a very broad accent, and the 'media' is supposed to be all about communcation. I read with great interest everything that people said above, one thing that occurs to me is that if the next Parliament is a 'hung' parliament (and quite a few people seem to think that this is a possiblity), how would this effect the possibility of changes needed to enable English voters to feel that they were more fairly represented? Which reminds me of excuse after muslim protests that thats why we needed glorification offence - WHATS HAPPENED TO THE PROMISED ARRESTS? The Barnett formula seems to have become part of our unwritten constitution - it has no statuatory basis but the treasury seems to accept it as a guiding principle. The SNP & other Scots parties seem very wedded to it even though it makes the apportionment of budget dependent on English health, employment or educational expenditure. Suggest that Mr Clarke's policy body looks for a new statutory principle in his policy review. "I don't thing the English want a regional parliament you know"
Why don't we ask them? Supporting a referendum on the issue would be hugely popular I believe. 5. Keep things how they are. This is an issue that has started to gain more and more press attention and the English should be asked. On the devolution issue - a report has been released claiming that Wales has not benefitted economically from devolution. "Old English Regions such as Mercia, Anglia, Wessex could be restored, Yorkshire could have substantial powers to a Grand body for it and Northumberland." Is there any demand for this? Where would you set the boundaries bearing in mind they shifted so often? Is Surrey part of Wessex or Mercia? The majority of Scottish Conservatives were anti-devolution. The Tories then switched their policy to attract votes from those who voted for the other parties. In doing so they isolated their core vote. Personally I believe the Tories should have stuck to the unionist anti-devolution rhetoric, thus placing them in a more convenient position to criticise the current constitutional anomaly as well as the cost of the Scottish parliament.